In the wake of Michael Brown’s murder the world needs words of grace as an antidote to the hate. The first time I heard Jamaal Jackson Rogers (Just Jamaal) was while I was busy waiting for a bus. His words made me pause, maybe even let a bus or two go by, because they were too beautiful to ignore. A crowd gathered and stayed in place. More people stopped and stood still. Magic. 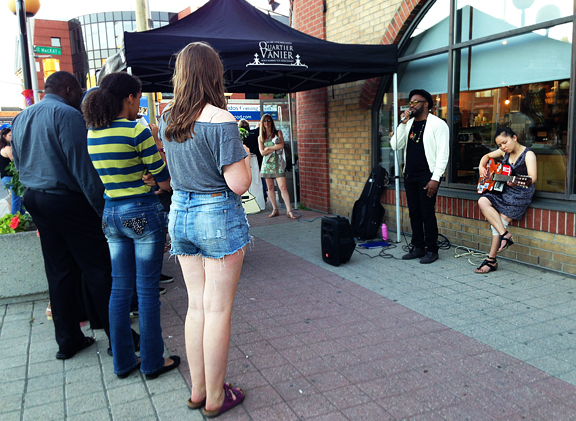 The poem was BE and it was written by Jamaal along with Nathanael Larochette and Ali Alikhani. People may think they ‘know’ someone based on a quick assessment while sizing up clothing, body language and skin colour. 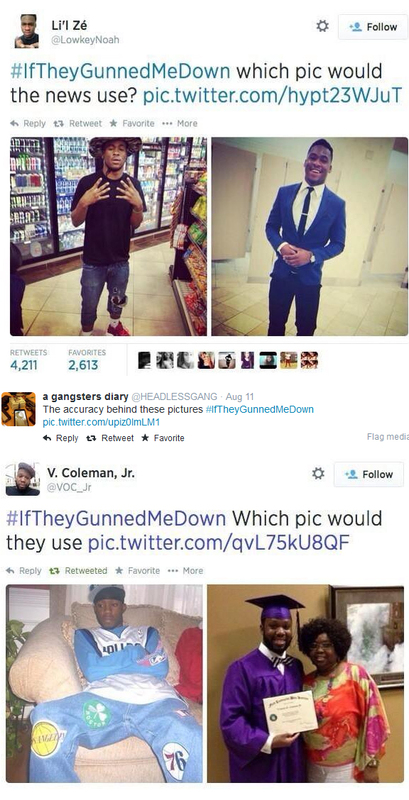 The #IfTheyGunnedMeDown twitter campaign is about demonstrating that you may not get the full picture of another human being in one quick glance, especially if that glance is informed by racism and media who continue to hype stereotypes and feed the beast. Below I include Jamaal’s photographic choices for #IfTheyGunnedMeDown along with the first words I heard drop from his lips, mesmerize a crowd and inspire a gathering of souls. I have also included Jamaal’s poem to his young nephew, his own words in response to the slaying of Michael Brown. Left – Jamaal performs. Right – Jamaal puts his arm around his late mother. 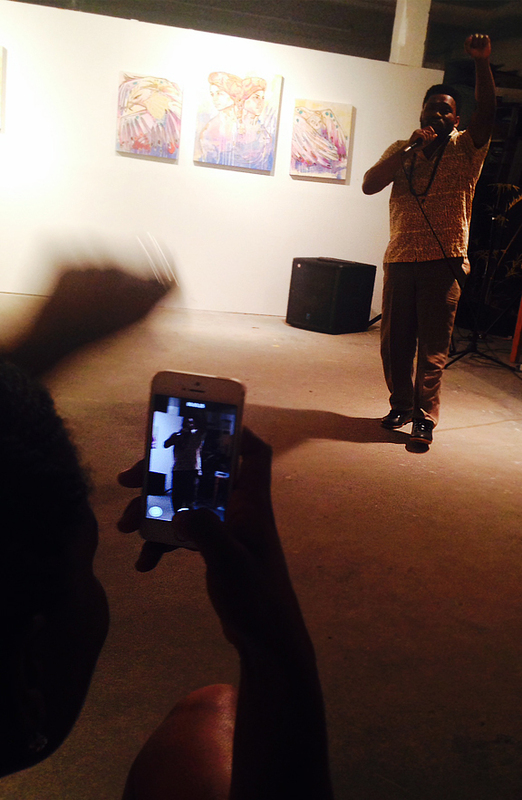 Follow Just Jamaal The Poet on Facebook and twitter @JustJamaalPoet. As the children flooded my home to play. Right before it began to rain. I had a moment. It was with my nephew. With his busted lip from taking a trip in soccer. I asked him how it happened. Just to hear his kind voice speak. A sound I don’t hear much of in the world anymore. He fell down trying to trap a ball. At his other uncles house around the way. I looked into his gentle eyes. And he stared right back. The way only he does. Cus his eyes trapped me. With much more success than his failed attempt. I swear to you he is the sweetest child. And his parents are just as good. The moment I had taken to break from reading news about the murder of #MikeBrown. The moment I had taken to engage my home full of beautiful brown skinned children. For all the kindness that is part of my teaching. In my home day care. Will still grow up victims. For the colour of their skin. The simple fact of melanin difference. And for the first time. In my peaceful home. I felt as if it had been invaded. By an evil so frightening that it could destroy my faith in humanity completely. I knew that there would be no place for him to run away. No safe space for him to find peaceful stay. His eyes told me more than I hoped for. It told me that one day he may not come to my house with a busted lip from playing soccer. He may lie in front of this house with a busted lip from running into coppers. 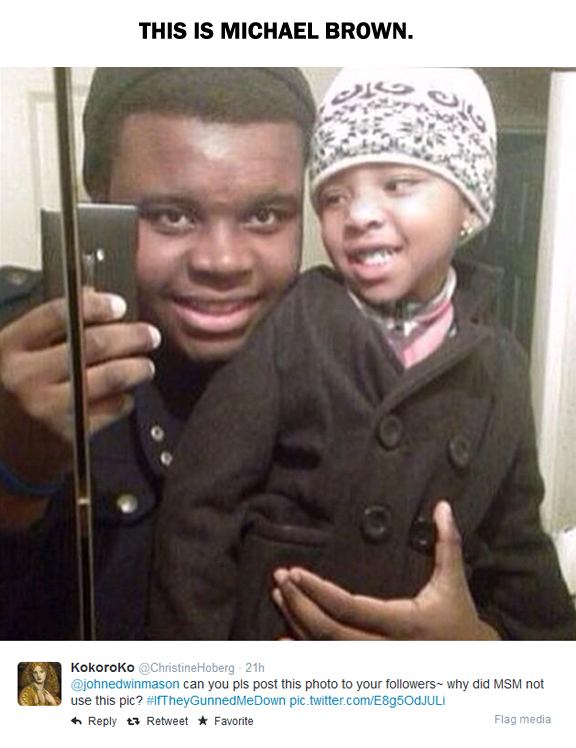 And then at the picture of a slain young man on my newsfeed. I closed the computer doors so that he could not see the image on my screen. RAPSODY: Urban Artists descend upon Ottawa once again & Timekode launches DJ Memetic's "Rideau 2 Richmond"
This entry was posted in Activism, African / Caribbean Diaspore, Diversity, Human RIghts, Identity, Photography Leah Snyder, Protests and tagged Ali Alikhani, black men, Ferguson, IIfTheyGunnedMeDown, Jamaal Jackson Rogers, Leah Snyder Photography, Michael Brown, Nathanael Larochette, race, racism by admin. Bookmark the permalink.